The Taylor 'Logo' Suede Guitar Strap, Black is an exceptionally high quality guitar strap, offering a stunning appearance, and making any Taylor player look the part. The black suede finish feels 'broken in' from day one, and each strap is cut specifically for the strap pins on Taylor Guitars. 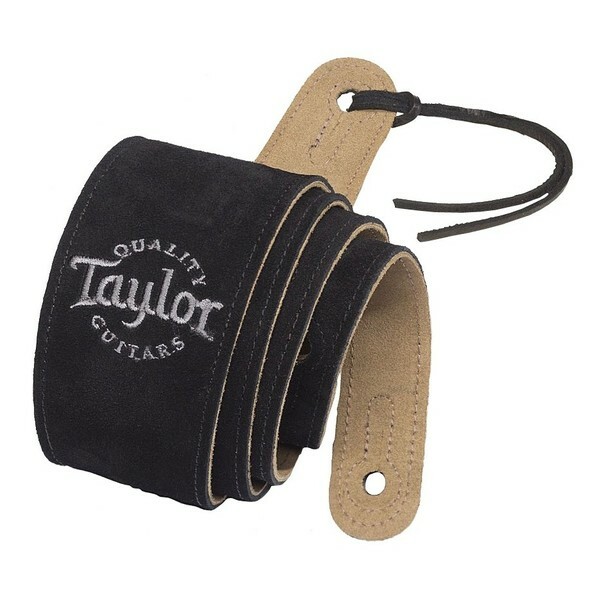 With its suede material providing a non-slip performance, the Taylor 'Logo' Guitar Strap is the perfect accessory for any Taylor fan.